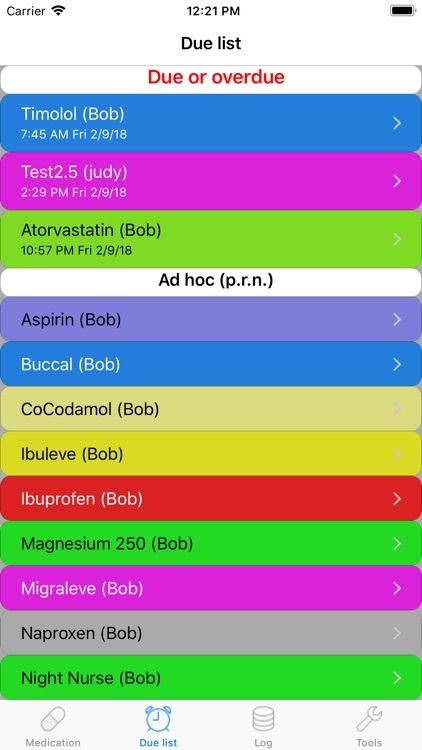 Medi-Prompt is simply the best application for managing your medication schedules. Why can I say that? - Dynamic Scheduling! Medi-Prompt is not just another alarm program. Tell it the max doses in 24 hours and the minimum time between doses and it will schedule the next dose taking those safety guidelines into account. Let's look at a worked example. Tell Medi-Prompt that you need to take 4 doses starting at 8am and finishing at 8pm, and that the minimum time between doses is 3 hours. You take the first dose on time (8am) and it schedules the next dose at 12noon. 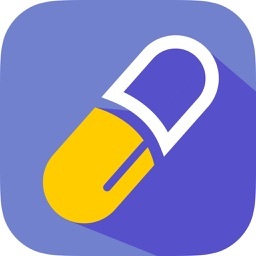 You take that dose late at 1:30pm so instead of just saying that the next dose is at 4pm (as other 'alarm clock' apps would do) Medi-Prompt will schedule it at 4:45, spreading the remaining doses evenly and checking that the time between doses is still at least 3 hours. 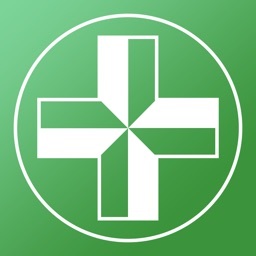 - schedule your meds to your requirements. AD HOC: (or PRN) No scheduling for this but still checks the safety limits. 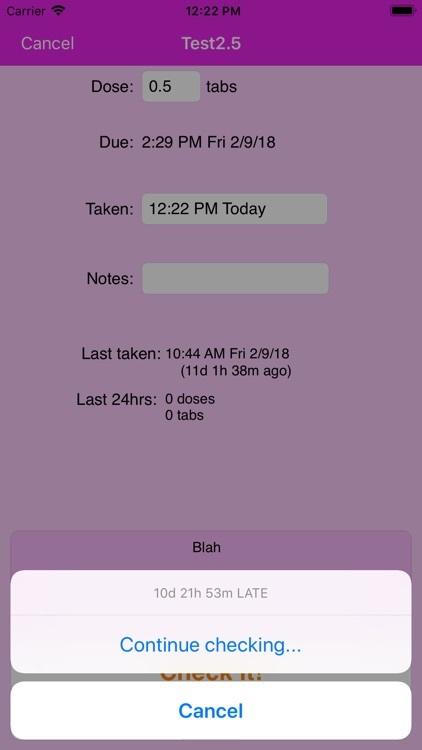 TIMED DOSES: This allows you to set your own schedule of times during the day. 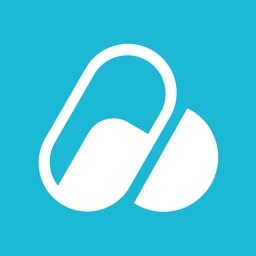 CALCULATED DOSES: You specify how many doses in the day and the first and last times and Medi-Prompt will dynamically schedule to spread the doses equally. 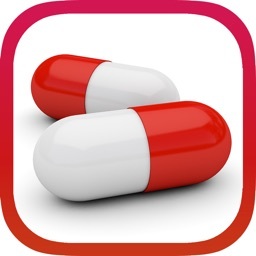 REGULAR INTERVALS: Specify the fixed interval between doses. If taken late, Medi-Prompt will reschedule the next dose maintaining that interval. ALL METHODS use whatever safe dosage guidelines you set up. (2) Set up a daily pattern for medication that should be taken, say, every other day, or 21 days on 7days off. (3) WARNINGS will be given if doses are taken too close together or too many in 24 hours. (3a) Meds will be scheduled to avoid taking too soon or too many. (3b) Using Groups you can trigger warnings if meds in the same group are taken too frequently. (3c) Reduce the risk of Medication Overuse Headaches by getting warnings if you take pain relief more than a given number of days in the month. (4) Automatically stops scheduling when course is complete. 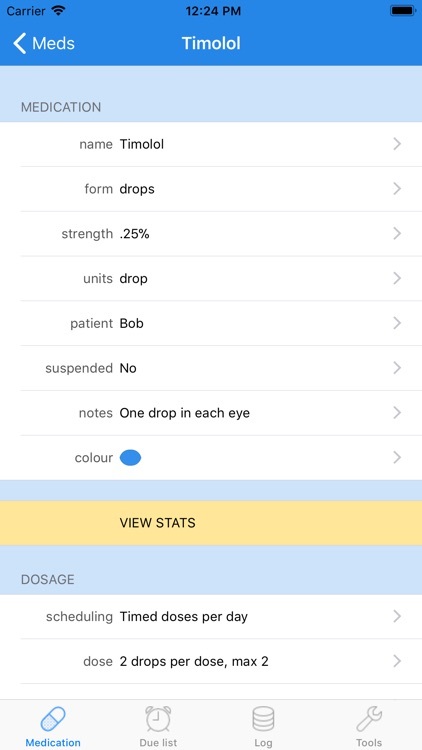 (5) The LOG is maintained so you or others can review which doses you took and when, which were accompanied by warnings and which were missed. You can add your own notes to each log entry (eg temperature). You can add your own log entries to record any other relevant events eg visit to the doctor. This log can be exported to your pc. (6) PROMPTS (alerts) are fully configurable, with a choice of sounds and adjustable repeat times. They can also be silenced/delayed for a period (eg for a meeting). 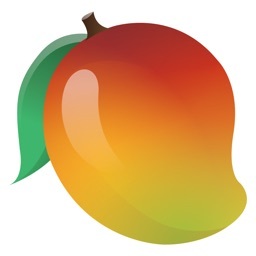 (7) STOCK CONTROL is optional (but always free!) 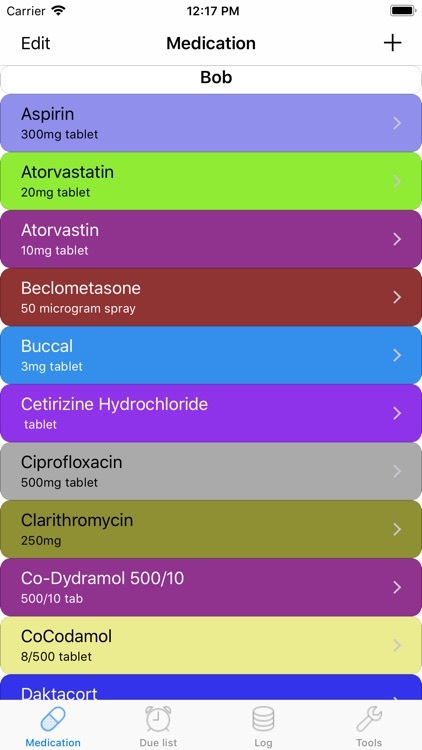 at both system level and for each medication, and will alert you when you need to order more. (8) You can UNDO any Taken or Skipped entry. Go to the log, select the entry and click the trash can. Any such changes to the log will result in a recalculation of the medication schedules. 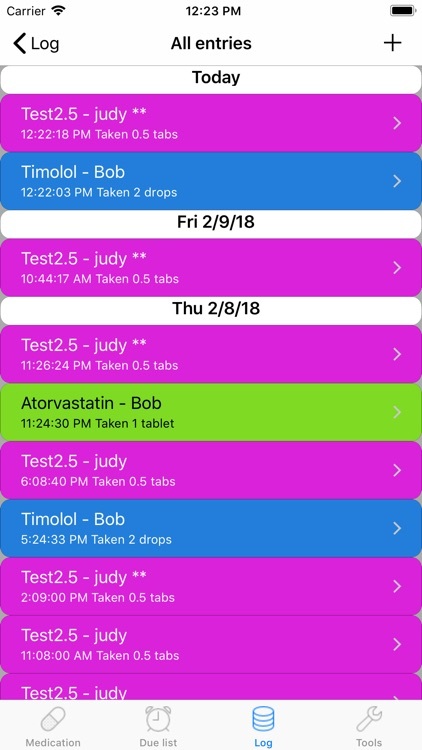 (9) Guidance notes appear when entering data for a new medication. NO HIDDEN EXTRAS: Medi-Prompt is not a 'lite' version expecting to upgrade or buy more; and there are no adverts! "Medi-Prompt is designed to help you schedule and track your medication. However, Medi-Prompt and its developers take no responsibility for the medication you take, when you take it, or the quantity you take."